In one of our previous articles, we showed you how to correctly apply the thermal paste. But we want to go deeper into this topic. First, we need to discuss why we use thermal paste at all. Imagine the surface of the water block, or any other cooling system and the surface of the CPU on a microscopic level. Both these surfaces appear smooth to the human eye, but if you magnify it, you could see that it is actually quite bumpy and uneven. 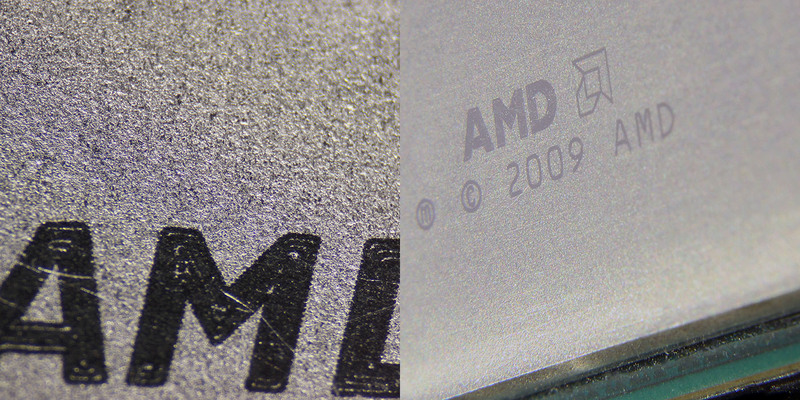 Here is an example of an AMD CPU and its IHS. The IHS is short for „Integrated Heat Spreader“. It is the metal piece that covers the CPU. The CPU chip itself is substantially smaller than the IHS, that is made out of copper and is nickel plated. CPU manufacturers don’t bother much around the IHS and as you can see, it’s not the smoothest surface if we take a closer look. The situation with the coolers and cold plates of water blocks is almost the same, or in some cases, even worse. Some manufacturers deliberately leave machine grooves on the base of their coolers to get a more even spread of the thermal paste. So, you probably get the picture by now: the surface of the CPU is not smooth enough and the base of the cooling body is not smooth enough either. If you would join these two surfaces together without any thermal paste, you would have poor thermal conductivity and the CPU would overheat. Micro imperfections of the heat spreader and heatsink surface are often not the only problem. It happens from sample to sample that the IHS or the cold plate are not geometrically flat. Meaning, it either has a bump or a dent. The proper terms for these two situations is that the surface is either convex or concave. The role of the thermal compound is simple, to fill the tiny gaps between the cooler and the IHS and to promote thermal conductivity (or just to make some additional heat conductivity possible if the two surfaces are convex or concave). For that role to be fulfilled, the thermal paste has to meet some requirements. First and probably the most important is the conductivity, which in cases of thermal paste labeling is often expressed in W/mK which stands for Watt per meter by Kelvin. The higher the number, the better the thermal conductivity of the compound is. Next stop is the “specific gravity” which in layman’s terms is the density. Some manufacturers use the term specific gravity, some just label it as density and both are expressed in g/cm³ which stands for grams per cubic centimeter. One more attribute that is sometimes stated by some manufacturers is the viscosity. The density can often be determined empirically, simply by applying the thermal compound, mounting the water block, removing the water block and observing the spread pattern of the thermal compound. We will show you some examples of good and bad thermal pastes. Thermal grease that is too soft and sparse – low thermal conductivity. You can see that some compounds are too soft, and therefore, we can say they have a low viscosity. 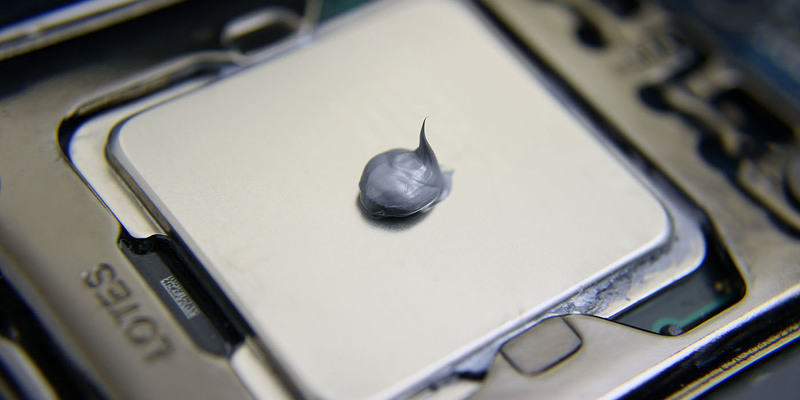 On the other hand, we can see examples where the thermal compound is too thick, so we say it has high viscosity. Too little or too much thermal paste is not good. A good thermal paste evens out uniformly when the water block or heatsink is fastened by its retention kit. Thermal grease that is too dense and dry – bad spread on the IHS. Solid materials, metals (like copper, of which water blocks are mainly made) have much higher thermal conductivity than liquids or gases. We can look at thermal pastes as liquids, so if the compound is sparse it is inevitable to have lower thermal conductivity. If the thermal compound is too thick, it will not even out between the CPU and heatsink. That means that the heat conductivity will be done by the thermal paste, not by metal on metal contact of the IHS and heatsink. 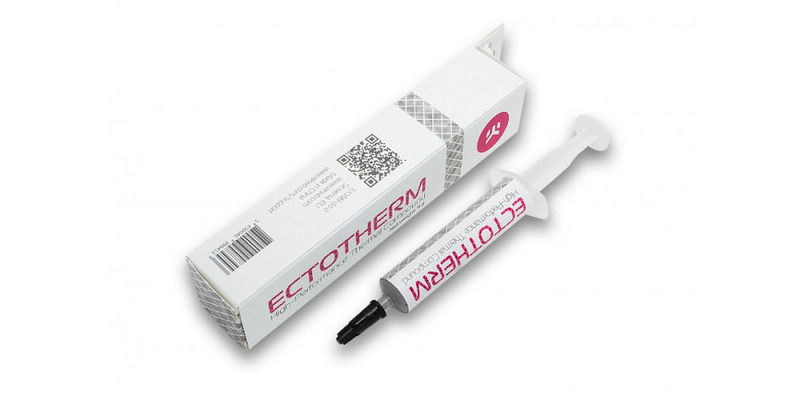 Thermal grease that is just right – good spread and good conductivity. For example, the thermal conductivity of a high-grade thermal paste is 8.5 W/mK, and the heat conductivity of copper is 385 W/mK, or for aluminum 205 W/mK. You can see that the thermal compound is actually a poor heat conductor and that is exactly the reason why you only need a very thin layer of paste to fill the micro imperfections between the IHS and heatsink. But let’s pause for a moment and talk about the materials that thermal compounds are made of. Most mainstream thermal greases are made from a bonding material and a material called the filler. The bonding material could be various types of silicones, urethanes, epoxies and acrylates, while the filler material is the one that has good thermal conductivity. The choice of the filler can be broad – some companies use silver, aluminum, ceramic, and diamonds which are ground to a very fine powder and mixed with the bonding compound. The final mixture of the thermal paste is often kept as a secret recipe. With that said, some thermal pastes can be conductive, but the majority of them is not. You should always check the labeling so that you know how to handle it. A drop of electro conductive paste on the wrong place can kill your hardware. On the other hand, there are high-performance liquid metal thermal compounds, that are mainly purchased by enthusiasts and so-called experts. All liquid metal thermal pastes conduct electricity and that’s why they need to be handled with care. These thermal compounds are mostly made out of silver, indium, rhodium, gallium, tin, bismuth and various other alloys. You should always read the manual if you were to try some of these non-standard solutions. 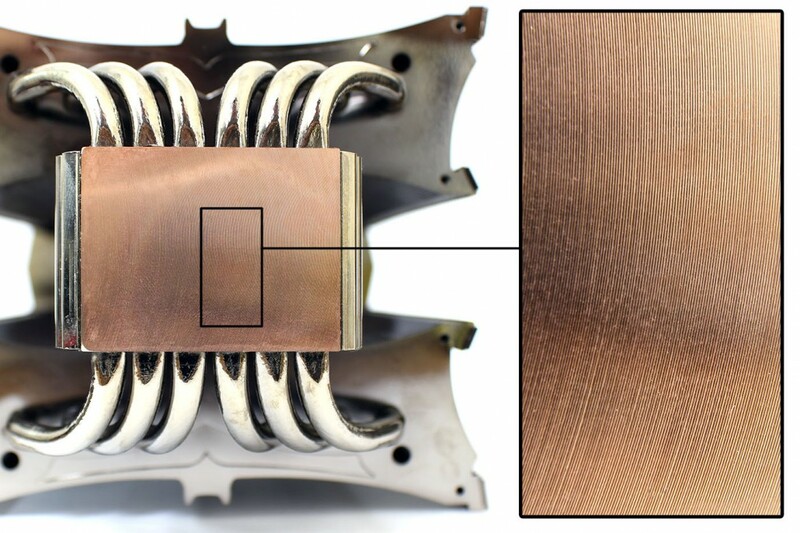 Thermal compounds that are based on different forms of liquid metal can reach thermal conductivity from 20 to 40 W/mK. Let’s take a small detour and mention some other things as well, like lapping and delidding. „Lapping“ is the term that you can hear from enthusiasts. It is a process in which two surfaces are rubbed together with an abrasive between them. Enthusiasts and overclockers who want to squeeze more performance out or their CPUs and get lower temperatures, use fine sandpaper to flatten the IHS of the CPU and sometimes even polish it. This process is mostly done only on the base of the heatsink, since the cooler is often cheaper than the CPU… Because yes, lapping voids your warranty. Delidding is basically just the act of removing the IHS from the CPU and we will talk about that in more detail in some of the following articles. Example of a lapped and polished Core i7 5820K and EK-Supremacy EVO water block. 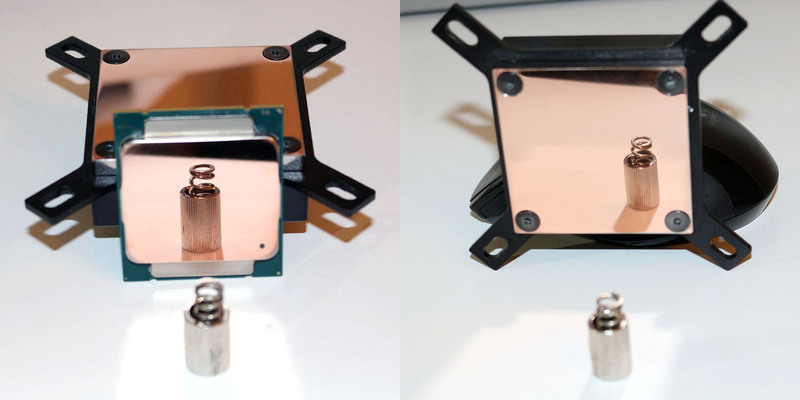 Thermal tapes or thermal pads should also be mentioned in this article, since they are a key factor when using full cover GPU water block and VRM water block. Thermal pads, unlike thermal grease, are more solid, rubberish materials and they are often based on various silicone compounds or paraffin wax. Just like the thermal paste, their key attribute is thermal conductivity factor which is also expressed in W/mK. 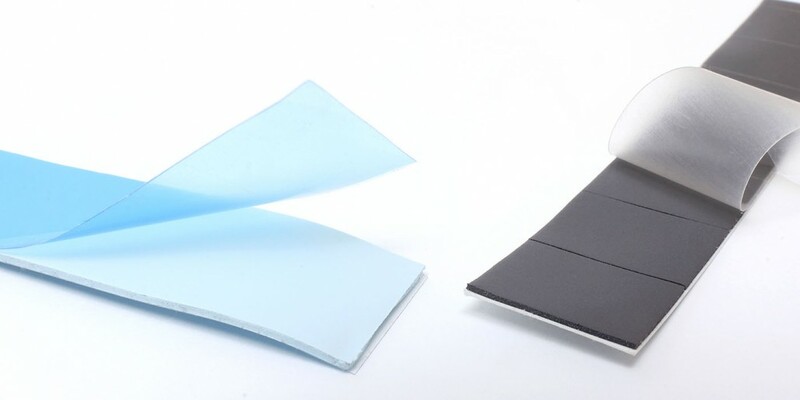 A thermal pad with 3W/mK thermal conductivity is regarded as an average quality, and there are some 14W/mK solutions on the market that are super high grade and quite expensive. An example of two types of thermal pads. Both thermal compounds, paste and pads, have a limited lifetime. Some manufacturers do not state this, but thermal grease has both shelf time and usage time. 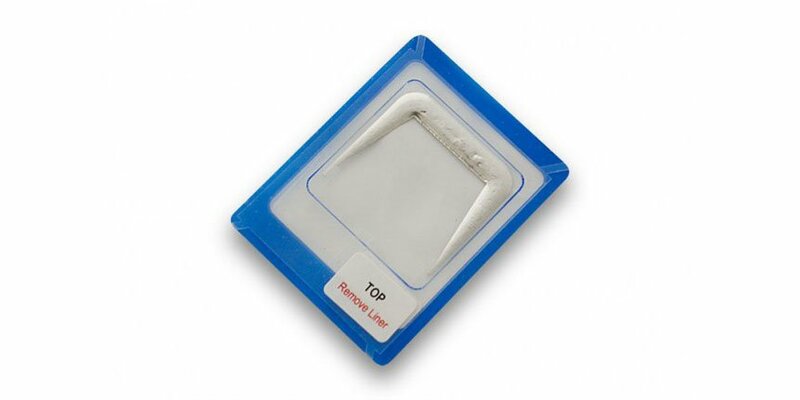 Usage lifetime usually goes from 1 to 3 years, if you are using some better quality, branded, thermal compound. In case of some no name solutions, we recommend you to replace it with fresh paste after 6 to 12 months. Due to high temperatures, thermal pads go bust as well, over longer periods of time. Of course, these issues can be more severe if you are using low grade, cheap and no-name thermal compounds. Most enthusiasts even replace the factory thermal grease on new graphics, because the manufacturer often does not bother to use better quality and more chemically stable solutions. Now that we have made you read all of this and got you informed about all the details, we can draw a short and simple conclusion. We are often fighting for lower temperatures, get massive air coolers, buy expensive water cooling parts and, in the end, we can still come across some users who are saving money on thermal compounds. We are not saying that you should get the most expensive liquid metal, just… DON’T USE CHEAP THERMAL PASTE. The difference between mid-range and high-quality air coolers is often around 3-8°C, roughly. 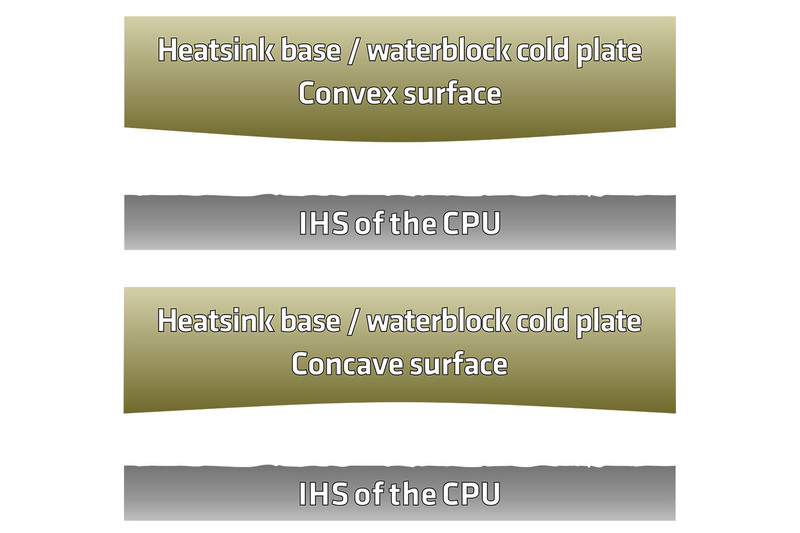 The difference between high-grade water blocks and cheap unbranded ones spans up to 10°C. As for thermal compounds, it is about the same. Depending on the quality, temperature differences go from 1 to sometimes even 10°C. Meaning that, just by picking the right thermal compound, you can get massive drops in temperatures. And if you combine high-class water blocks with crappy thermal grease, you have tossed some money out the window. We hope that the message is clear and that we have managed to explain almost everything there is to know about thermal compounds. In the case we’ve left something out or weren’t specific about something, please feel free to join and comment. Until our next article, stay cool!